Neal Morse seems to have started a trend because here is another example of an artist who can write great tunes, play every instrument to a high standard and sing. In this case Ben Craven is from the Prog outpost of Australia and he’s apparently a self taught musician who after a period of playing in bands that didn’t play his chosen genre he went it alone in 2005, producing an album (‘Two False Idols’) under the moniker of Tunisia. Ben’s music of the Symphonic Prog variety and I detect influences such as Pink Floyd, Camel, Yes, Genesis and vocally Big, Big Train, however he doesn’t allow these comparisons to dominate proceedings and he certainly creates his own overall sound. On the vocal side I said that he can sing; there’s no doubt about that, but his voice is rather undistinguished. You’d be unlikely to pick him out of a crowd but it does the job. Matters get off to a very promising start with the instrumental ‘Diabolique’ with its lovely bass motif and retro Hammond Organ which runs neatly into ‘Nobody Dies Forever Part1’ which features a Camel-esque guitar and a really strong guitar solo that is underscored by Hammond and synth. Immediately on hearing this for the first time my heart was lifted as it sounded as if Craven has the Steve Hackett and Dave Gilmour approach to guitar of not overplaying or being flash for the sake of it. Fortunately the rest of the album bears this out as he crafts quality instrumental sections rather than throwing the kitchen sink at them, as on the delightful ‘Aquamarine’ where a slightly heavier vibe is evident; it’s an instrumental Steve Hackett would be pleased to have created. ‘Ready to Lose’ starts out with a Steve Howe (Yes) style acoustic guitar before moving into an energetic Blues albeit interspersed with a Spock’s Beard-like section. ‘The Conjurer’ has a delightful piano theme and guitar so redolent of Gilmour, indeed until around the halfway point of the song Pink Floyd would be a relevant comparison. The album’s first epic track is ‘No Specific Harm’ which moves through a number of time changes, themes and refrains. Vocally I am reminded of Ray Wilson era Genesis while there’s a big guitar solo backed by swathes of synth which is flashier than those that have preceded it but which remains tuneful and meaningful throughout.‘Solace’ is a short but beautifully crafted instrumental featuring acoustic and electric guitars and the album concludes with another epic, this time the title track. This has more delicious piano which is joined by other instruments as the song builds inexorably. 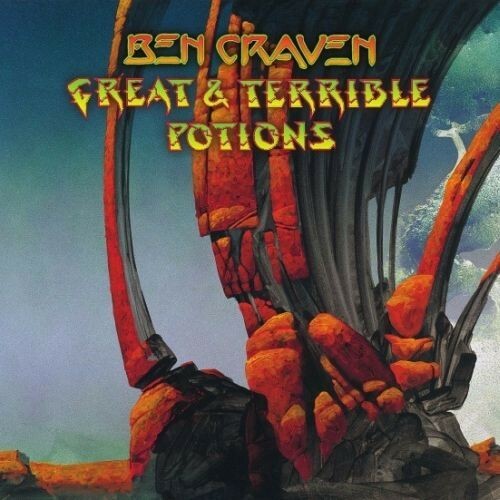 The sudden switch at the halfway point does sound a bit contrived and clunky but that aside Craven has produced a fine album and one the bodes well for the future.